Mobile Apps We Love and Why We Love them! If you are the owner of a smartphone, chances are you have at least 10 apps on your home- screen that have become an integral part of your daily life, and why shouldn’t you? These days, mobile apps have become so advanced that humans can do most adulting right from their phone, like mobile banking (I LOVE the Wells Fargo app). I recently discovered only a year ago that you can actually deposit a check on the app just by taking a photo. Another app that I personally can’t live without is the Weather app, ‘cause even though I live in sunny Southern California where every day is usually 75 degrees with clear skies, a girl can hope for rain cloud every once in a while. Although there are thousands and thousands of apps out there, many of them fall under the same ‘genre’ if you will, such as: food delivery apps, banking apps, games, retail apps, etc. I wanted to find out if there was a common theme to the specific types of apps that people prefer to use and why by taking a poll in the office and doing some online investigating. First, I asked the GC team to tell me their favorite social media app, and the majority of the office said Instagram. Sarah: Instagram, because I like staying up to date on what my friends are up to and news in general. I think looking at things from the perspective of others is great as well. I've always been big on taking and seeing beautiful pictures. Instagram has that balance of both pictures and videos. Plus, you get to make cool stories of your trips! Drea: Instagram because I love staying updated with people I know through stories. Marshall: My favorite social media app has to be Instagram! Instagram is the best because it is image focused. Whether it's my personal page or my work page (follow @iheartoldtowneorange), it is great to share updates with friends and family by showing them what you're up to, not just telling them! I can get lost on the explore page for longer than I'd like to admit. Ryan: Instagram and YouTube, because the visual nature of these apps makes them the most entertaining. Kelly: My favorite is Instagram. I spend more time on Instagram stories than on the news feed, but I love getting a visual/live snapshot of people's lives. Definitely more of a creative space. Paulina: The New York Times Crossword App. I like crosswords even though I'm terrible at them. Ryan: Word Crossy, an addictive word jumbler game. Sarah: Words with Friends. I get to learn a new word a day and play scrabble. It's the best of both worlds. It's the app that I'm on the second most after Instagram. Since being a wordsmith is my profession, I’m going to jump on the bandwagon and say I love a good word game app, and it seems like most of the team agrees when it comes to using an app purely just for fun. There’s nothing better than the challenge of unscrambling words and competing with others to get the highest score. If you’re into word games, check out some of the ones mentioned above! Paulina: Slack! There are quite a few instant messaging apps, but the ability to integrate Slack with different programs makes it much more streamlined for work. The channels make it easier to follow themes of conversation and talk to a lot of people at once. Drea: The Whitney Ranch and Mountain House apps of course (because we created those, haha!) but Slack would also have to be my favorite. Kelly: Going to have to go with Slack for work. It allows me to stay in the know no matter where I am and it's super easy to communicate with teams on projects from anywhere. I think we can all agree that being able to quickly and efficiently communicate with team members in the workplace is KEY to making everything flow smoothly. Having a messaging app like Slack is awesome because, as Paulina said, we can create multiple threads of conversation and keep our thoughts and ideas controlled for different projects. And, as Kelly said, it’s a simpler, practical way to send a quick ping! to someone about a project then the formality of writing an email. If your team thrives on bouncing off ideas to each other in an effortless, timely fashion like ours does, Slack should DEFINITELY be integrated into your workflow. And, just for the record and according to www.business.com, last year Slack was dubbed the #2 most effective internal communications app. We hope that some of our favorite apps can help make your workspace (and personal space) even more successful and fun! If you know of any other cool, exciting, genius apps you’d like to share with us, tell us the comments below! 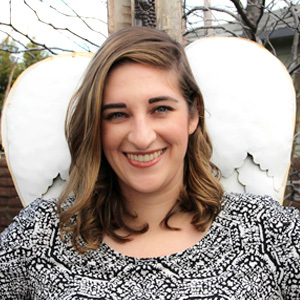 Lindsay Gerner is a Senior Digital Copywriter at Get Community. She studied Creative Writing at Concordia University, Irvine and Pepperdine University, and on weekends you can find her at the movies or binging her favorite shows (current obsession = Game of Thrones).